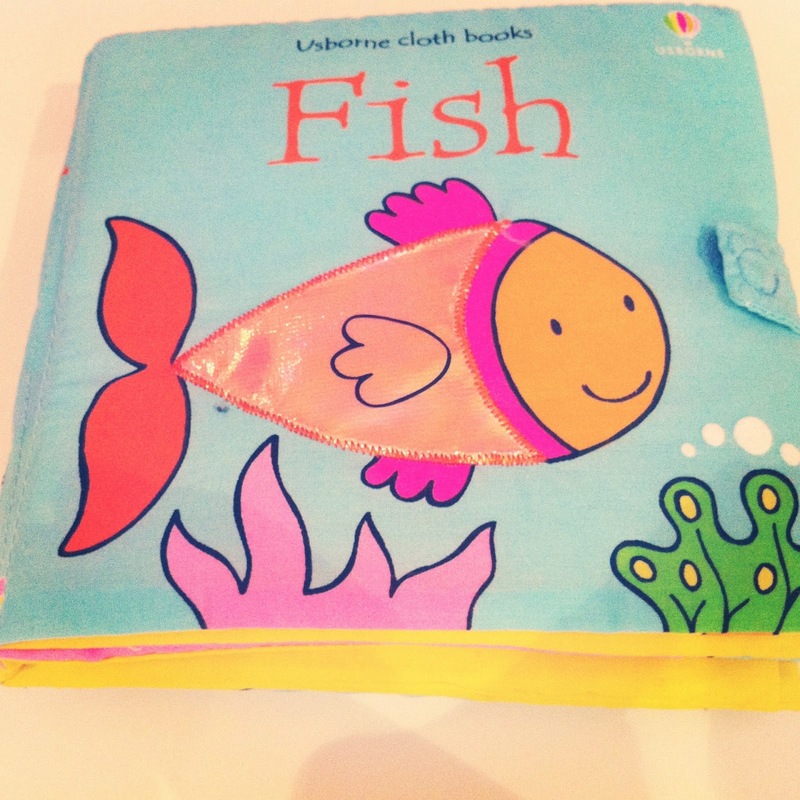 Read of the Week- Fish! Ok, so this is more Estella's read of the week rather than mine. I've been so busy lately that I haven't had time to read anything blogworthy! This little book by Usborne has fast become a favourite and it really feels as though E is beginning to understand the concept of reading now. As soon as we open the book she immediately settles down and seems to listen to me reading. She loves following Freddie the fish through a sea full of iridescent Jelly Fish and Neon Pink Crabs, there's also a little rattle in the book which she loves to shake. It's pretty lightweight and portable too and what's more, it's a damn sight more reasonable than cloth books by other brands! 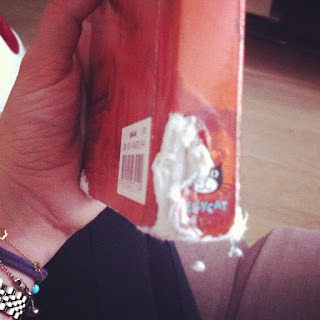 The other great thing about this book is that it's chew proof!We also have a few board books but these have been placed firmly out of her reach for now seeing as she decided to give our Boston terriers a chew for their money!!! You can pick up this book plus a range of other cloth books by Usbourne on Amazon HERE!